I’ve had the pleasure of working with James Anderson for many years and seen how his career has taken off at Ivanti. 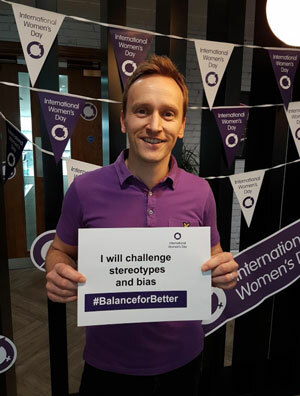 James has always managed diverse teams and so I thought it would be great to have a bit of chat and get his thoughts on gender diversity and the women in technology movement. Q: Tell us a bit about yourself and what you do at Ivanti. 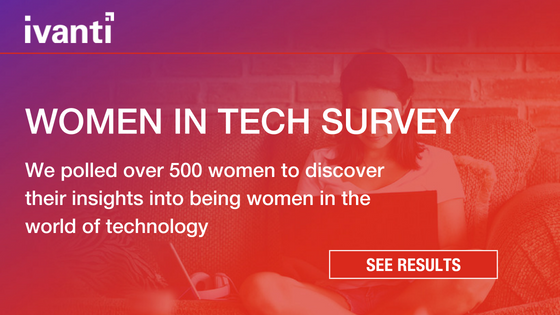 Q: You’ve always been supportive of the Ivanti Women in Tech movement. Why is that? JA: I guess I am lucky that I have a mindset in which I strive not to prejudge anyone based on any criteria, be it gender, race or religion. The Women in Tech movement is a great way for us to raise awareness of inequality in our industry but also to encourage women to join it. Building more diverse skills, we can only raise the bar in terms of what we deliver. Q: You have a pretty diverse team, not only in terms of gender. What do you think the benefits of this are for the channel as a whole? JA: I do indeed have a diverse team, but I don’t see it like that. I see it that I have a fantastic group of individuals who are great at what they do. They each have strengths and weaknesses like we all do, but for me it’s all about skills, experience and mindset. If someone has a good mix of those things, then you should hire them no matter what their gender, race, or religion is. Q: How do you think technology businesses can attract more women into channel roles? JA: I think the channel in the UK has some very strong women as key contributors to their respective companies, but the balance can always be improved. I think technology companies could do a much better job of addressing the balance across their business rather than focusing on just channel. Key would be more diverse leaders in their organisations in sales and other male lead areas like engineering. Q: They say people buy from people. Do you think diversity engenders trust in the customer, and does it help influence a purchasing decision? JA: I would hope purchasing decisions are not based on diversity bias, but I think if a company has a diversity in its recruitment and talent management plans, it will potentially have a more open and inclusive style of working thus breeding an environment where trust is built more easily. Trust will definitely influence purchasing decisions. Q: What skills do you need to work in the channel for a tech company? JA: You need great people skills for sure. A good balance between technology interest and commercial acumen makes for a strong partner manager. Then you need to throw in collaboration, creativity, and conflict resolution skills. Above all though, the people I see who are most successful are the ones who are honest, transparent, can deliver on their promises and are consistent in how they act. Q: There is a lot of talk about “lad-culture” in technology. Is this something you have witnessed and, if so, how have you personally dealt with it? JA: I haven’t witnessed too much “lad-culture” in my career. However, I have witnessed a clique-driven culture and that often can progress into a closed group mentality. I always do what I can to encourage team members and colleagues to be inclusive in their attitudes and behaviour. JA: Anyone who is striving to make the world better for others inspires me, whether that is major leader in industry or government or someone in your community who is battling mental or physical illness and still managing to get through life being able to provide for their loved ones. Q: What is the last book you read and what are you binge-watching on Netflix? JA: I am a pretty terrible reader in that I don’t put the time in to read consistently for pleasure. The last book I would have read cover to cover would be something I read to my kids at bedtime, and although it’s hugely rewarding, it’s not the same. The last book I read for myself was probably The Snowman by Jo Nesbo. I love a crime thriller. As for Netflix, I am currently struggling to find a decent series to work through. We live in an age that there is too much choice. However, I am looking forward to the final series of Game of Thrones and the new Billions that are coming soon.